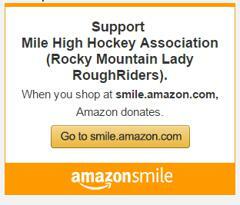 Established in 2013, the Rocky Mountain Lady RoughRiders Association provides a challenging, fun, safe and respectful learning environment for girls to play both recreational and competitive hockey. We are continually working on ways to grow our sport. We provide superior coaching and dedication to the development of the athlete with the desire to create "hockey players for life". 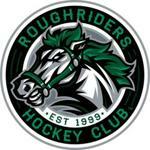 Lady RoughRiders had a tournament shut out! Congratulations to the U12 Lady RoughRiders Players & Coaches! Congratulations to the State Champion RMLRR U16AAA Team! Do you have any thoughts, ideas or suggestions for improvement? Let us know. ©2019 Rocky Mountain Lady RoughRiders / SportsEngine. All Rights Reserved.